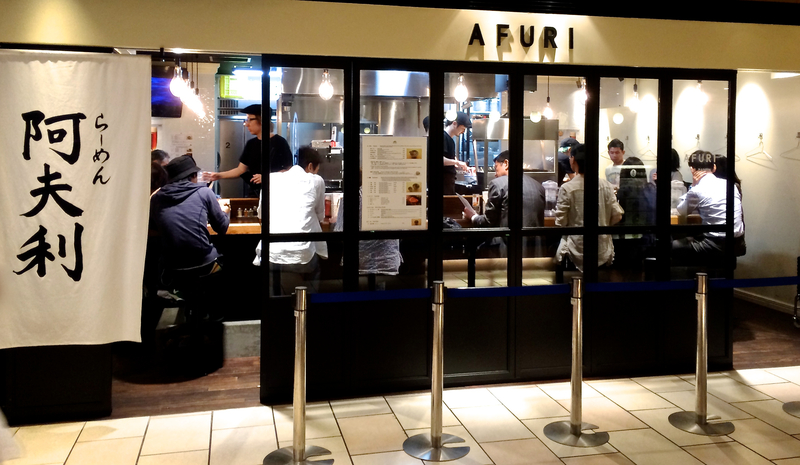 Can it really be 10 years since the original Afuri opened, bringing its trademark yuzu ramen, stylish black uniforms and hip, post-industrial decor to the backstreets of Ebisu? A decade on, the lines outside are still just as long. But the good news is there are now half a dozen other branches around the city. 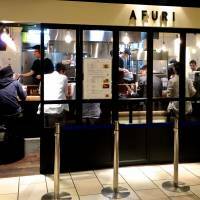 The latest, in the basement of Roppongi Hills and close to Roppongi subway station, bears all the hallmarks of Afuri DNA: monochrome design, a youthful staff who go about their business with studied cool, and the same appetizing noodle menu. There are sometimes seasonal specials, and the chilled tsukemen (dipping noodles) make a refreshing summer change-up. 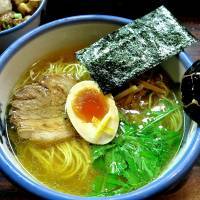 But there’s really only one choice to make: shio (salt) or shōyu (soy sauce) soup with your yuzu ramen. 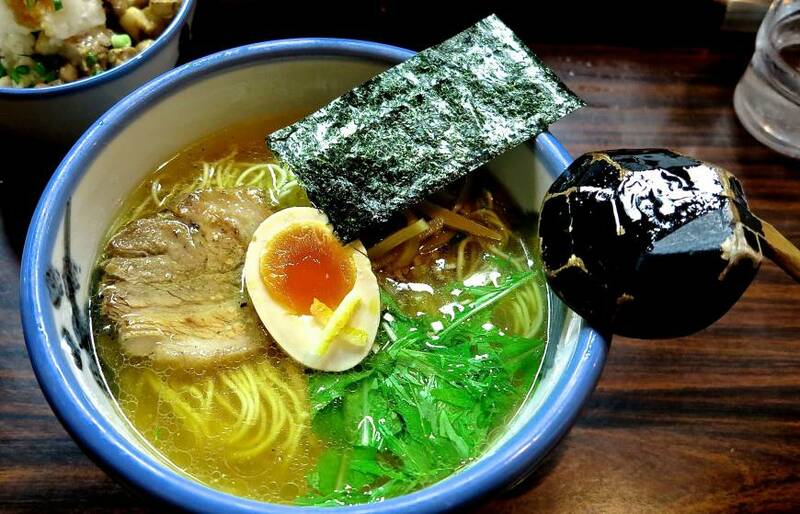 Either way, the delicate hot broth is made with chicken, fish and konbu seaweed, the noodles are light and they are served with half an ajitama egg, slices of freshly grilled chāshū pork and a garnish of fragrant yuzu peel. It’s just as much a classic now as it was 10 years ago. B1 Roppongi Hills North Tower, 6-10-1 Roppongi, Minato-ku, Tokyo; 03-3408-1880; website; open daily 11 a.m.-11 p.m.; nearest station Roppongi; no smoking; noodles from ¥830; no cards; English menu; little English spoken.